Watched by 25 million viewers in the Middle East and North Africa, BBC Arabic’s weekly 4Tech programme discusses technology, innovation and cyberspace. Invited to take part in this week’s episode, Tagsmart demonstrated its unique triple-lock solution directly from Mat Collishaw’s studio. Our Co-Founder and Chief Innovation Officer Steve Cooke introduced our technology by tagging Collishaw’s Insecticide 28 print. Tagsmart has developed a unique, secure genetic “stamp” to identify, seal and verify the authenticity of artworks. Following an extensive collaboration between leading artists, surface chemists and conservators, every component of the Tag is part of a complex web of security measures, using revolutionary label technology featuring the latest synthetic DNA taggants and inorganic compounds. Each Tag has its own unique reference number, linked to the artwork’s secure Certificate of Authenticity and its online Provenance Record. Alongside presenter Anees Alqudaihi, Collishaw also talked about his exhibition Thresholds, using the latest in VR technology. Thresholds is a fully immersive portal to the past, restaging one of the earliest exhibitions of photography in 1839, when William Henry Fox Talbot first presented his photographic prints to the public at King Edward’s School, Birmingham. Presented in London and Birmingham, the show is now relocating to Lacock Abbey, in Wiltshire, where it will open on September 16. Watch the complete episode here. Tom Toumazis MBE, Tagsmart’s Executive Chairman, was invited to speak at this year’s Professional Advisors to the International Art Market Conference, which took place at Sotheby’s Grosvenor Galleries at Aeolian Hall on 11 July. He took the opportunity to discuss Tagsmart’s journey, which began with Steve Cooke, our Chief Innovation Officer, and renowned frame-maker Mark Darbyshire. 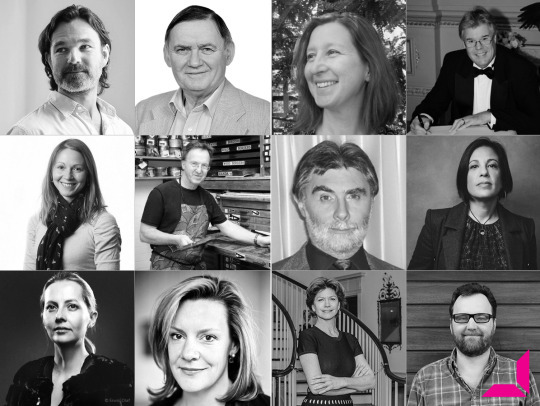 Led by Tom, in the past couple of years we gradually assembled an esteemed board of advisers formed of the UK’s foremost security, art conservation, software and materials science experts. Throughout Tagsmart’s evolution, we have endeavoured to create a solution which appeals and conforms to our clients needs and wants. We have worked extensively alongside scientists and conservators ensuring our Tag does not interfere with the artwork and is applied with ease. The outcome is our triple-lock solution for authentication encompassing the DNA Tag providing proof of origin, the Certificate sealing ownership and our digital Provenance Record acting as a digital passport over time. After a year since Tagsmart’s launch, we are pleased to be working with some of the UK’s leading artists including Mario Testino and Gary Hume and to have tagged over 5,000 works of art. We are honoured to have shared our story with other professionals in the field, discussing the challenges of establishing authenticity and how we believe technology is leading the way forwards in addressing this issue. To commemorate the London Food Month, a month-long celebration of food conjuring up over 400 events across the city, we have gathered a selection of artists from around the world who focus on and involve food in their work. The creators of these pieces use the physicality and history of food to give their art meaning, both obvious and subliminal. Food was created for consumption through the use of our mouths, but not everybody has the capability of digesting with their eyes. So put the paintbrushes, cameras and tools aside, and open your brain-buds to the sweet and savoury side of the art realm! Vik Muniz has often used food to realise his impressive works. In a meticulous process and using a wide range of materials like sugar, chocolate and caviar, the artist recreates well-known images such as masterpieces or photographs. Viewed from a distance, the similarity of his works to its originals are striking. However, when seen up close the images turn the viewer’s attention to its symbolic meaning through the contextual use of materials. For example, for the Sugar Children series, Muniz took pictures of local children while on holidays in the Caribbean. Upon returning home, he recreated these images by arranging sugar on black paper. Embedded with irony, the sugar connotes both the essence of childhood and the hard labour of the local trade. Chloe Wise uses food as a recurring motif in her work. This artwork is a replica of a Moschino bag but made of English muffins, urethane, oil paint, leather, hardware and butter container. From Wise’s Bread Bags series, the artist playfully parodies high-fashion designer logos using bread as a symbol of status and wealth and hints to the uselessness of beautiful objects. It seems the artist is making a play on the word consumption meaning both indulging in food and overspending on superficial and unnecessary belongings. She elegantly comments on current societal trends and hierarchy in a fun and trendy fashion, managing to make highly expensive, chic and timeless bags look so good that it also undermines their value and draws attention to the meaningless nature of trends. The viewer is made to question: do I really need this or do I just want it? Pope.L (aka William Pope.L) has a long history of enacting arduous, provocative, absurdist performances and interventions in public spaces. Featured in this year’s Whitney Biennial. Claim is a giant pink cube with 2,755 slices of real bologna sausage nailed to it, slowing rotting over time and stinking up space, each affixed with a black and white photocopied snapshot of a person. From day one, the oily juices from the food were cooling into small basins that run along the floor, so the meat was not really rotting but actually curing, referencing the curing or healing of people. It is a recognition of people as human beings and not numbers. As the meat cures, the photograph is contorted, making the viewer question who are these people and if it really matters? Rirkrit Tiranvanija uses human interaction as his primary material. And what better way to bring people together than through a mutual love for food? For the prelude of La Triennale 2012’s opening, Rirkrit was invited to transform the main nave of the Grand Palais into a festive, large-scale, twelve-hour banquet composed of a single meal. The artist creates innovative initiatives to involve the public into the art making process, bridging the gap between public and private art and negating the notion of art as an upper-class enjoyment. The area we now know as Battery Park City and the World Financial Center was once used by Agnes Denes’ to create her one of her most notorious works. Over a six-month period in 1982, Denes planted a field of golden wheat on two acres of rubble-strewn landfill. She explains: “Wheatfield was a symbol, a universal concept. It represented food, energy, commerce, world trade, economics. It referred to mismanagement, waste, world hunger and ecological concerns. It was an intrusion into the citadel, a confrontation of high civilisation. Then again, it was also Shangri-la, a small paradise, one’s childhood, a hot summer afternoon in the country, peace, forgotten values, simple pleasures.” Denes is a pioneer in Land Art and highlights the controversies such as world hunger through her expansive and impressive installations. Peter Anton is an American artist and sculptor whose primary focus is food, with an emphasis on sweets and chocolates. The artist has a particularly interesting way of creating his artwork whereby he first needs to experience it through taste, smell and touch, to then thoroughly dissect his subject before depicting it. This intricate observation of his subjects shines through in his works which could fool anyone into believing they’re real, if not for their oversized nature. His nearly obsessive focus on all things sweet may be a hint to the human need and want for things which were once better enjoyed in moderation. An example is how through history in many cultures following a religious occasion a sweet would be offered as a special treat, however now people come up with any reason to consume sugar… Or just no reason at all. The London Festival of Architecture is Europe’s biggest annual architecture festival, and returns to the city this month with hundreds of events exploring ‘memory’. To celebrate the event, we dug into our own memory and recalled five impressive artworks that explore the ideas of shelter and remembrance. Ghost, Rachel Whiteread’s breakthrough piece, is a plaster cast of a living room, modelled on a typical Victorian terraced house in north London, similar to the one in which the artist grew up. In its melancholic beauty, Ghost is a resonant monument both to the individuals who once occupied this room and to our collective memories of home. Grayson Perry’s first building, a striking ‘secular chapel’ filled with his artwork, opened only for a limited period. Perry has described the building as the ‘Taj Mahal on the river Stour’ because it tells the (fictional) story of a local woman, Julie, whose husband had the house built as a shrine on her death. Among Pop icon, Roy Lichtenstein’s last subjects was the image of the suburban American home. The smaller-than-life sculpture House III evolved from Lichtenstein’s large-scale interior paintings of the early 1990s and from work that revived his interest in playing with perspective. Exploring inverted perspective and symbolically complex messages of housing and shelter, the corner of the piece appears to project forward toward the viewer. However, by walking around the work one sees that the corner actually recedes and that the eye has been fooled. Also known as The Tent, the artwork was a tent with the appliquéd names of, literally, everyone Tracey Emin had ever slept with, but not necessarily in the sexual sense. It achieved iconic status, was owned by Charles Saatchi and was destroyed in the 2004 Momart London warehouse fire. Emin has refused to re-create it. Exploring the concept of shelter and the familiar notion of housing, José Bechara establishes physical, metaphysical and visual relations to the habitat, creating poetic connections with the interior and the exterior of this place. By reorganising the space with a rigorous method, the artist uses everyday objects as geometric forms and inverts the idea of the shelter by putting objects that relate to the human presence outside of the house. Of all the images with which he seduces and confounds the viewer, Mat Collishaw’s Infectious Flowers are probably his most beguiling achievements. On first encounter, we are struck by their exquisite colours and shapes, but closer inspection reveals their imperfections. The petals are not perfectly formed – areas are ravaged by, and almost pulsating, with a disease. In this way, the viewer becomes both seduced and horrified. Collishaw was inspired by the story of a 19th-century dandy who became so obsessed with flowers that he decided to lock himself away in his mansion that was filled with only his plants. His opulence became so much that the flowers became diseased, a parallel to the sickening of his mind. One of the most notable aspects of Gerald Machona’s work is his innovative use of foreign currency (particularly decommissioned Zimbabwean dollars) as a medium. Initially, Machona started using the material in an attempt to convey the difficulties of the hyper-inflationary environment that Zimbabweans were living under until recently. But in 2008, it also became an interesting way to explore some of the underlying issues of class, migration and nationalism and the feelings of estrangement associated with the experience of “foreignness” while living in South Africa. This stencilled image may be Banksy’s most famous work. At first glance, it looks like a rioter about to throw a molotov cocktail. However, this ‘rioter’ is throwing a bouquet of flowers instead. By substituting flowers for a weapon Banksy makes us think about peace in a place we wouldn’t expect to find it. The work is surprisingly hopeful and upbeat. Today we celebrate the one year anniversary of Tagsmart Certify. In that past year, we have made a commitment to continue to advance our authentication solutions so as to establish a new standard for authenticity in art and we’re pleased to say that we have achieved enormous goals in the last 12 months. Consciuous of the art market’s needs and lack of regulation, transparency and standards, we have produced stellar first-to-market advances. In April 2016, we proudly introduced to the industry its first all-round complete art authentication solutions. Our DNA Smart Tags for paper works, paired with a unique system for issuing secure Certificate of Authenticity, enabled for the first time artists, galleries and estates to assure the genuineness of their works and protect themselves and collectors against fakes, forgeries and misattributions. Some months later, our Smart Tag for aluminium works was added to the Tagsmart solution, making it the first standalone secure genetic “stamp” to identify, seal and verify the authenticity of aluminium based works such as photographs. By this time, we have also provided artists with a means to issue secure Retrospective Certificates of Authenticity for works already sold which lacked this crucial document to guarantee its authenticity and generate its accredited ownership history. Today, as a way to celebrate one year since the launch Tagsmart Certify, we are thrilled to announce the release of our most advanced solution, the Smart Tag for canvas works. A groundbreaking resource for the art world, our new Smart Tag will now empower artists, galleries and estates to set right issues of credibility and trust and offer protection to a larger segment of the market. Inspiringly, our hard work and product innovation have been greatly noticed by art market in the past 12 months. Always at the forefront of all our activities, our focus on providing an outstanding solution and our dedication to our customers has proved instrumental to our success. In our first year, we have signed up hundreds of artists, including contemporary masters like Marc Quinn, Chris Levine, Mario Testino, Idris Khan and Deborah Azzopardi, as well as some of the most talented emerging figures such as Dan Hillier, Martin Yeoman and Bambi. We also had the pleasure of partnering with influential galleries such as Art Republic, the Mall Galleries, Beers London and Joseph Fine Art, and awe-inspiring estates like The Guirado Estate and The Ken Howard Foundation. Our deepest thanks to all of you, who’ve given us invaluable assistance and feedback throughout this period. Tagsmart has also caught a lot of interest from the media. We are extremely proud to have been featured in some of UK’s biggest news outlets such as the BBC, the Sunday Times, Sky News and Reuters, as well as in art magazines and portals such as The Art Newspaper, Artsy, artdaily.org and State F22. We were equally delighted with the outstanding response we had in events such as The Other Art Fair, Art16, The Art Business Conference and the London Art Fair, motivating us to continue to develop solutions in a way that is innovative, reliable and with high quality. None of this would have been possible without the exceptional guidance of our Advisory Board, which features world-renowned art collector Robert Suss as well as some of the world’s leading superheroes in the fine arts and materials science: Dr Matthew Baker, Mike Triggs, Dr Carinna Parraman, Professor John Watts, Dr Melanie Bailey, Graham Bignell, Professor Bill Redman-White, Joanne Wilson, Aino-Leena Grapin, Amy Todd Middleton, Colette Loll and Mike Adam. Thank you for your support and encouragement, always. As we step into another year, we would like to share with you the marking of a year of Tagsmart Certify and the accomplishment of significant milestones, culminating with the launch of our new Smart Tag for works on canvas. But most importantly, we would like to say our most since ‘thank you’, after all this celebration is also yours. Tagsmart hand-pick: Getting our spring vibes on! With the arrival of spring, we felt like celebrating the upcoming launch of our new Smart Tag by asking some of our team members what are their favourite works on canvas when thinking of the new season. The vast array in style demonstrates the wide diversity of taste in art amongst us. Nonetheless, one thing remains the same for all: there is plenty of enthusiasm and excitement for the days to come! When I think of spring, nature immediately comes to mind. I feel that this piece by Lois Dodd is an embodiment of the season. The painting catches my eyes due to the use of off-green colours she uses and which I find rather curious given that the artist is known for her depiction of life and landscapes. She portrays herself in a darker, shadowy green, giving her an undead appearance, the colours used on her self-portrait evoke a slightly sickly appearance. Yet, altogether the subject matter reflects opposing feelings, of fecundity, abundance, fruitfulness and life. I feel Dodd is making an ironic statement here possibly hinting back into the ideas of zombies and reanimation. I also appreciate how confident she is with her painting style. She might mix paint before hand, but she doesn’t mix many colours one they are laid out on the canvas, instead opting for a flat and bold application of paint. I searched ‘the best things about spring’ and the first answer to pop up was 'because it brings the hope of some sunshine for a least a few days in a row’. I immediately thought of Alice Browne’s Powder (Poised) in which the colours of the season seem to be waiting to burst through. It’s not hard to be attracted to the almost fragrant selection of green, red and yellows on view, getting a sense for the lighter and longer days just after the clocks come forward. Browne’s work focuses on her own fictional and imaginary architectures, shown here through connected blue lines and the works growing layered spaces between. Perhaps here she has painted spring itself, no longer just a season but a physical space for the viewer to explore and (finally) enjoy! Damien Hirst’s Butterfly Colour Paintings remind me of spring because it is the time when trees blossom, a new life begins and our world becomes more colourful again. His piece with butterflies positioned in a circle suggests an idea of a cycle, with the passing of winter and the celebration of spring and life. Although some believe the piece could be interpreted as morbid and evoking death, as butterflies live on average for only a month, I believe the opposite. I see everything flourishing and it makes me feel uplifted and alive. This monumental 32-canvas painting forms one part of a 52-part work by David Hockney. The first time I saw this gem was at Hockney’s A Bigger Picture exhibition at the Royal Academy. It was February 2012 and I had had enough of winter. Spring seemed to be too far away and this artwork made me yearn for warmer weathers, brighter skies and flowers coming into bloom. It felt as if Hockney is inviting me to slip right inside the painting and walk along that lovely path under the trees! The Arrival of Spring’s vibrant colours scream spring and represent the change of seasons with the same enthusiasm as mine. The rich reds and greens make me anticipate what’s to come and reflect on nature’s cycles, the passage of time and the small but significant changes that unfold daily before our eyes. Conveying the beauty and grandeur of nature’s transience and the warmth of the new season, it sets us on a journey to the rediscovery of the landscape. Recently everywhere I look I amazed by the sprouting colours all around me, shocked that in a city like London such vibrant colours and flowers actually bloom. Maybe I have never paid enough attention? The sensation of feeling overwhelmed by the beautiful weather and nature that envelops me during spring makes me think of this painting by Hope Gangloff. I feel like I draw some parallels between his work and that of Gustav Klimt, who is one of my all-time favourite painters. I especially love the intricate details and colours in the clothing and room decor. These patterns remind me of that time of year that I wait for in anticipation to go into our storage and pull out my spring wardrobe which is filled with an array of colourful prints. At the same time, there is a lack of light and life in the colours, reminding me that summer is not yet here, but around the corner! It’s not often that you’ll find a world-renowned artist roaming the halls of an international art fair. But for Idris Khan, the experience can be enriching. “Art fairs are necessarily not for artists,” says Khan, whose work combines painting, photography and sculpture. Is a dead shark in a tank really worth millions of dollars? Art, like beauty, is often in the eye of the beholder—but Damien Hirst’s infamous 1991 work, The Physical Impossibility of Death in the Mind of Someone Living, fetched a reported US$12 million for reasons aside from its creative merit. In the video above, Vox breaks down the economics behind high-profile art market sales, and explains why an art dealer’s reputation is sometimes just as important (if not more so) than a work’s creator. Doha will have in its midst two monumental sculptures by Tagsmart Certify artist Marc Quinn — Frozen Wave and The Origin of the World — as the Anima Gallery, The Pearl, prepares to roll out Quinn’s first solo exhibition in the region titled Marc Quinn at Anima and featuring some of his finest sculptures and paintings. The two awe-inspiring sculptures will be exhibited outdoors for the first time; one to be displayed in front of the Museum of Islamic Art, and the other outside the Anima Gallery. The exhibition opens on November 13 and will be on till February 13, 2017. 1. Photograph all your artworks and ensure you have the best quality digital copies saved. 2. Create your artwork records on the Tagsmart Certify platform: guarantee the authenticity of your artworks, create your online catalogue which can be viewed and shared on social media or via email, and ensure you will be able to issue secure Tagsmart Certificates of Authenticity for your buyers at the fair. Not a Tagsmart Certify artist yet? Register now! 3. Set all prices set and have cheaper priced artworks for those who cannot purchase the more expensive pieces. Don’t forget to bring along some red dot stickers to indicate an artwork has already been sold. 4. Let our team know if you need any Tagsmart Certify materials. Do you need Smart Tags for your artworks? Order them now! How about some promo materials? Just get in touch and we can send you sample Certificates of Authenticity and ‘Tagsmart Registered’ wall stickers. 5. Don’t forget your business cards to be given to your buyers and people who show an interest in your work. How about sending a newsletter to your collectors too? 6. Package and transport the artworks with special care and create label cards to be included alongside the artworks. 7. When setting up the exhibition space, imagine how visitors will interact with your artworks. Which piece will they see first? Try to plan ahead what will be replacing the sold artworks. 8. Take pictures! This is a moment you will want to remember for years to come! Good luck, have fun and enjoy yourself!